Pematang Siantar is the capital of Simalungun, a large area with plantation, situated on the road from Lake Toba to Medan. 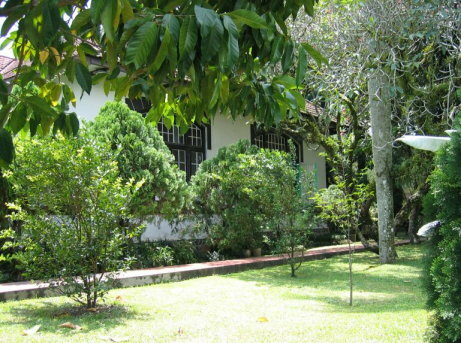 Pematang Siantar is the capital of Simalungun, a large plantation area. Before the second world war many foreign companies had established plantations in this area. For instance the Handels Vereeniging Amsterdam, (Amsterdam Trading Company), the German Marihat Gemeinschaft and the American Goodyear Company had plantations around Pematang Siantar. In Pematang Siantar it is cooler than Medan, while it is 400 metre above sealevel. 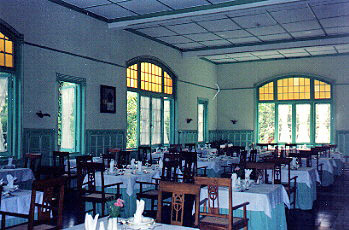 The city is in some places still like times gone by, like the old Siantar hotel from 1912. It is interesting to make a coffeestop in this hotel. The hotel was burned down in 1945 but rebuilt in original state.